How to write a bicycle touring journal? The title may make you think whether riding a bicycle has anything to do with being a good writer. To clear your doubts at the beginning, it does not. You really don’t need to be Charles Dickens to enjoy going on bicycle tours! A lot of people writing journals do it for their personal use. It’s actually quite fun to write a journal where you give an account of your own life everyday as it happens. If you are someone who goes on bicycle tours frequently, a great way to log your trip is by writing a bicycle touring journal. Not only does it give you the opportunity of keeping a record of the distance you are traveling and the places you are visiting, it is also a wonderful way of telling the world what you are up to. A lot of bicycle tourists also maintain a journal with a view to share their adventures with other bicycle- enthusiasts. In fact if you search, you will find quite a few of these journals online as well. Not only are they fun to read, but they are fun to write as well, as you will know when you start writing one yourself. The idea is to write something that you know will be a fun and interesting read for other bicycle tourism enthusiasts. So what are the things to remember if you are starting a journal of your bicycle tours? Here are a few. a) As said earlier, the idea of a touring journal is to keep an account of what you do. Your journal should contain vivid details on how you spent a particular touring day, what happened, what places you visited, people you met, the food you ate, any interesting happenings that may have occurred, etc. Make sure that it is an interesting read. b) You may not be a born writer. Very few are. Don’t worry. Being a good bicyclist has nothing to do with being a great writer. But if you are writing for an audience, you better make it interesting. Your choice of words may not be Shakespeare-esque, but it can certainly be something your audience can understand and feel drawn towards. Popular bicycle bloggers will tell you that it’s not about the language, it’s about the content. c) Focus on a certain thing. For instance, if you are someone who is interested about the historical sites you visit while on your tours, focus your journal on that. Talking about stuff you are not interested in (the daily distance traveled, for instance) is going to be boring to you and your readers. d) It does not matter that you are not a great writer, but when you get on to write a journal which other people will be reading, better make sure that you get the grammar and punctuation right. No person is going to come back to your journal if the writing is full of grammatical errors and spelling mistakes. Getting the grammar right shows that you respect yourself and your readers. If your English is really bad, get someone to proofread for you before publishing. e) A great way to start your bicycle touring journal is to start a blog with WorldPedal.com. It is free and involves almost no effort on your side. You can blog whenever you want, wherever you want, as long as you have access to a laptop and an internet connection. Starting a site is comparatively expensive and will take a lot more effort than blogging. f) Last but not the least, have fun. 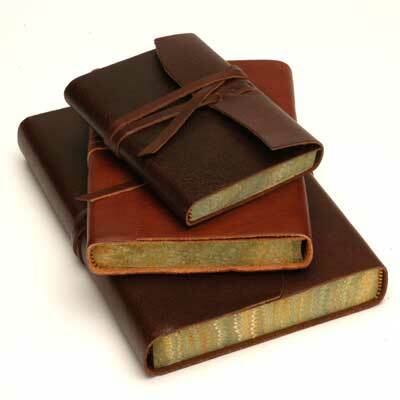 Writing a journal should be a fun activity, something that you enjoy doing. Make sure that is the case.